There were indications that Onnoghen might be tried for alleged several breaches of the criminal and anti-corruption laws, including money laundering, bribery and tax evasion. The latest cases also border on alleged strange deposits in his accounts and cash gifts from some Senior Advocates of Nigeria( SANs). It was learnt that the Federal Government has delayed the arraignment of the CJN in deference to the constitutional provisions on the National Judicial Council (NJC). The constitution stipulates that such allegations against a judicial officer should first be presented to the NJC. 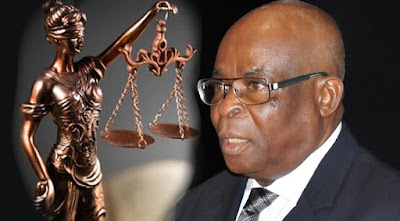 The Economic and Financial Crimes Commission (EFCC) has submitted a petition and a comprehensive report on Onnoghen’s accounts to the NJC. A top government official, who spoke in confidence with select newsmen, said there are three dimensions to the allegations against Onnoghen. He said apart from the trial of Onnoghen at the Code of Conduct Tribunal (CCT), there might be two other cases against him. The source said the suspended CJN might be arraigned before a High Court of Justice very soon.